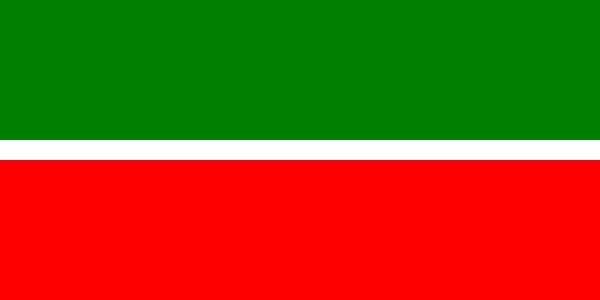 A postcard from Kazan, Russia, received through official postcrossing from postcrosser Valeria Konova. 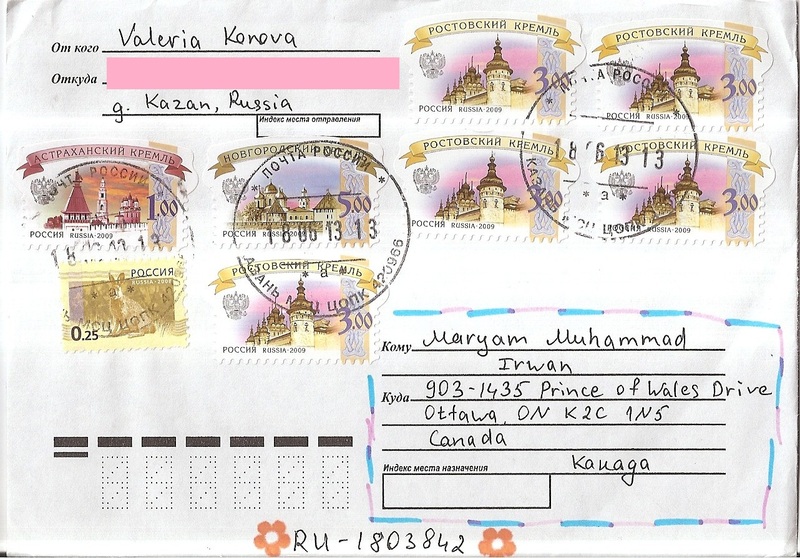 On the cover, Valeria affixed eight definitive stamps. 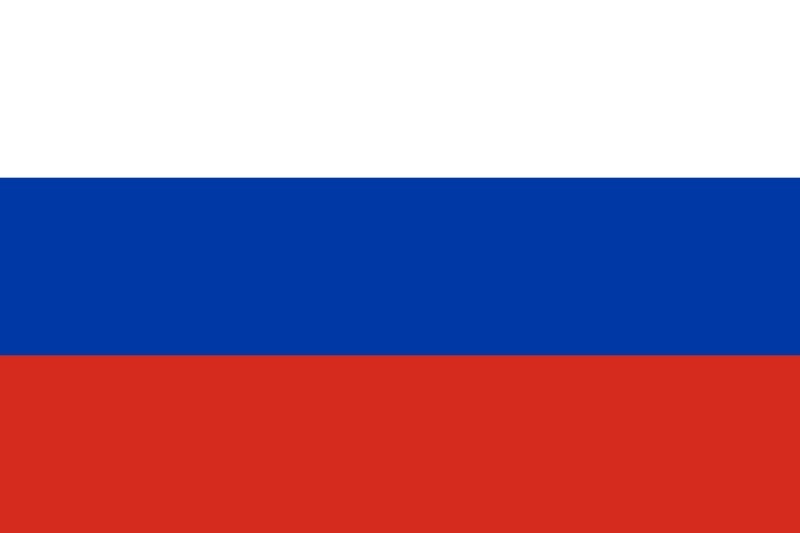 The postmark date is 18 June 2013. 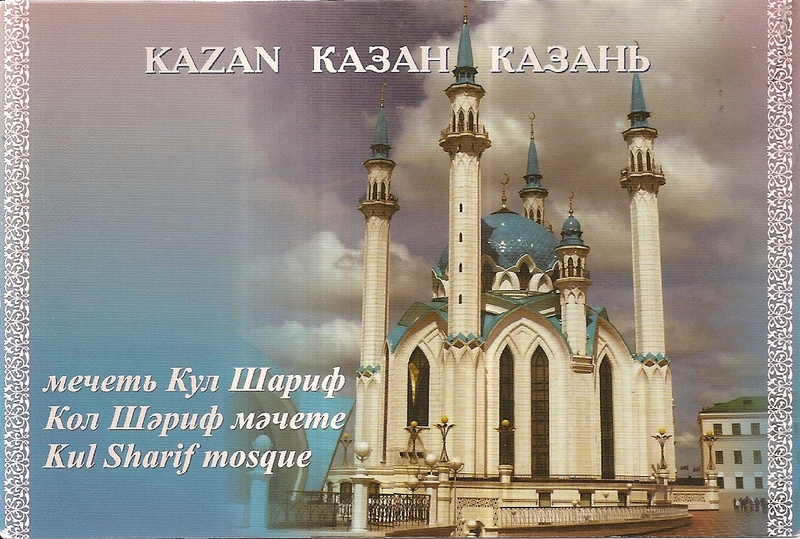 Inside is a beautiful postcard of Qolşärif Mosque in Kazan Kremlin, part of UNESCO World Heritage Site. Thanks a lot Valeria!